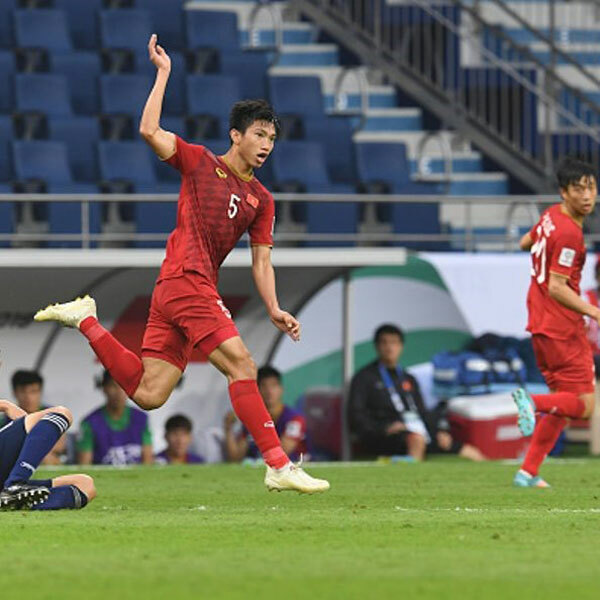 Midfielder Nguyễn Quang Hải and defender Đoàn Văn Hậu of Việt Nam have been named among the top five U21 players competing at the Asian Cup 2019 by Fox Sports Asia. The website has made its picks and said: "The defensive line was spearheaded by a youngster in Đoàn Văn Hậu who proved that even at the age of 19, he can run circles around some of Asia’s best. His form in five Asian Cup matches proved vital for the Golden Dragons, even though they were unable to get past Japan to make the semis." Hải, 21, who is called the ’Vietnamese Messi’, was always expected to shine for his nation, but what stands out the most about Hải is his ability to play wherever he is asked to, often playing deeper than he would like. Hải has proved his maturity in the national team shirt and showed at the Asian Cup that there are so many different facets to his game. "Definitely one to watch out for in the future," Fox reported. The three other names on the list are Mohanad Ali, 18, of Iraq, and Tarek Salman and Bassam Al-Rawi, both 21, of Qatar. At the same time, goal.com also named Hậu and Vietnamese goalkeeper Đặng Văn Lâm in its best XI of the quarter-finals.